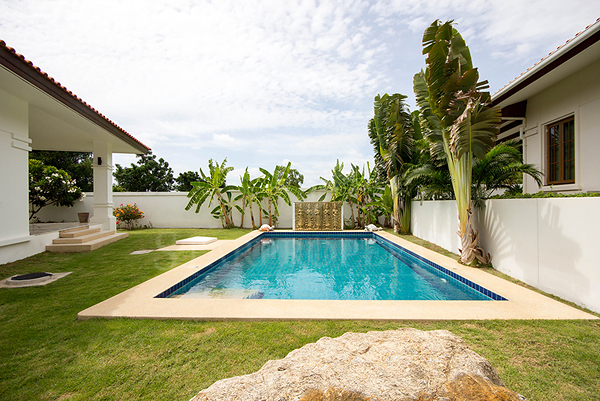 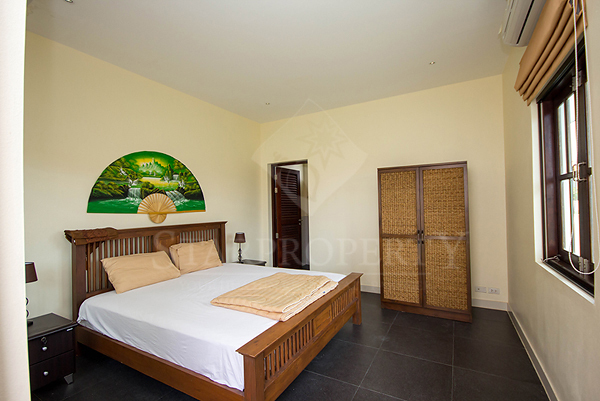 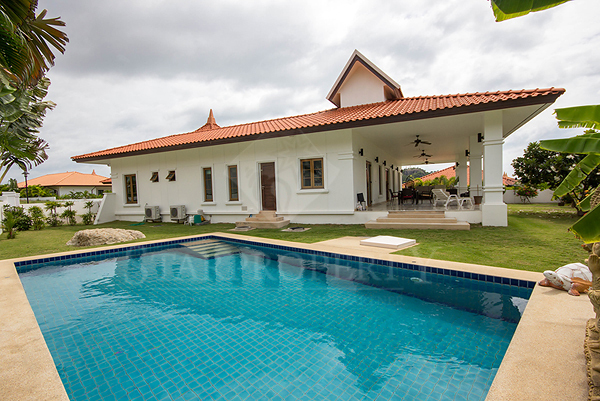 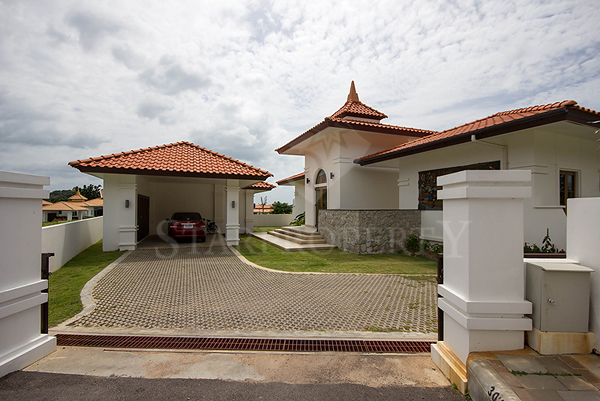 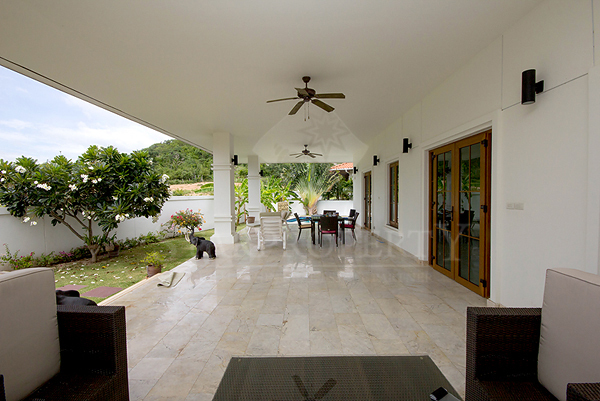 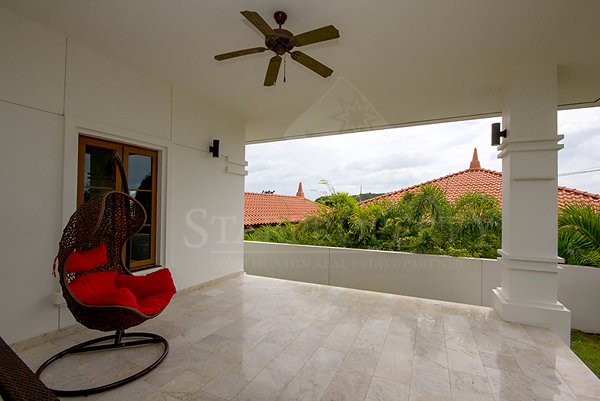 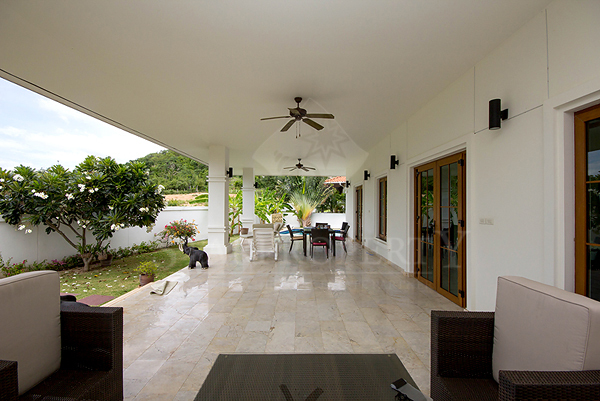 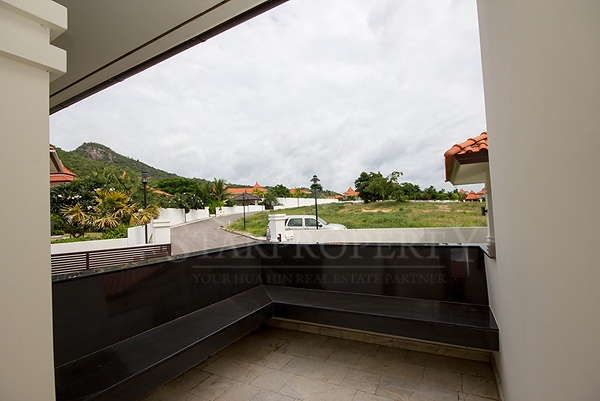 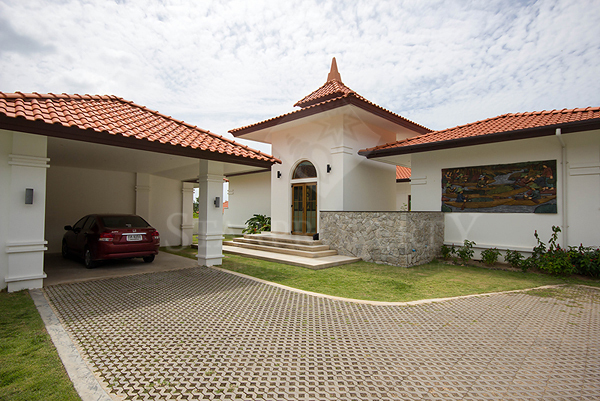 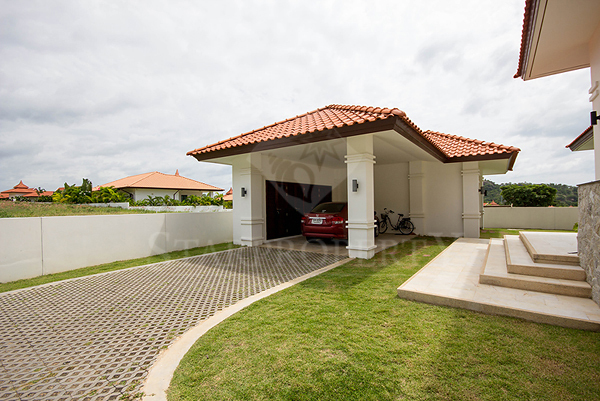 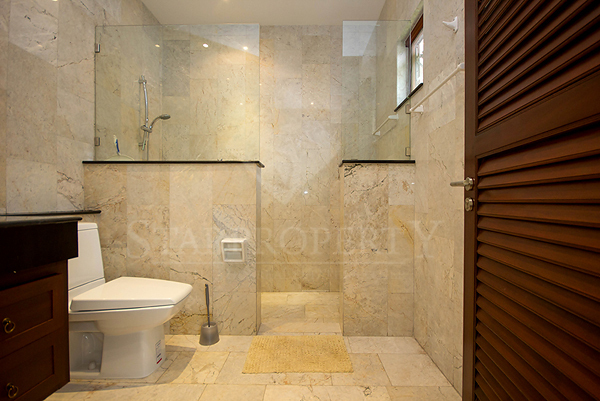 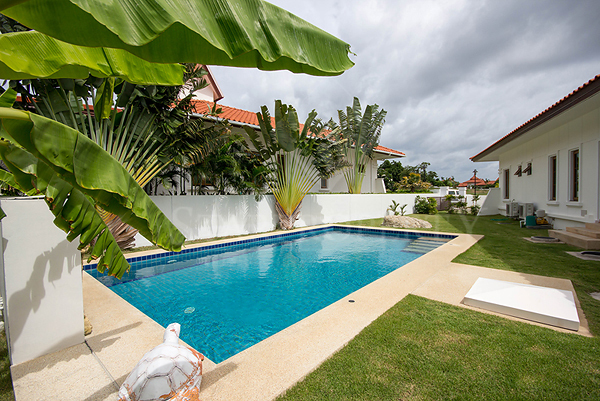 This beautiful private pool villa is situated on one of Hua Hin’s most premium Golf Course Estates. 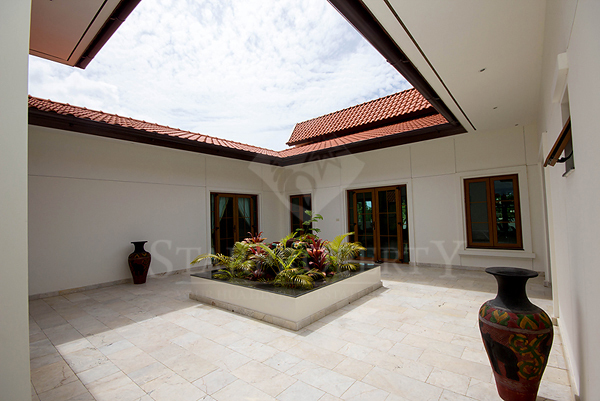 Featuring 4 bedrooms and 4 bathrooms there is enough space for a large family or group of friends. 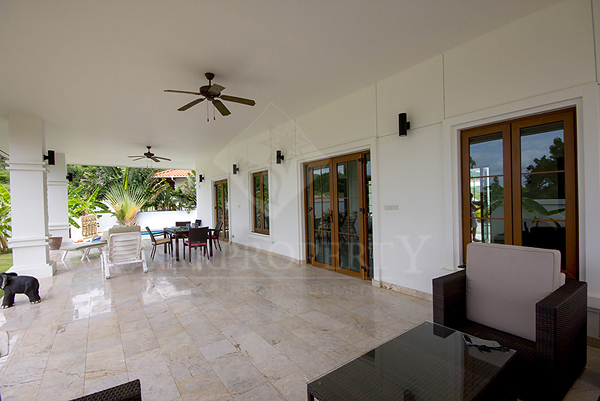 The main focus of this home is the stunningly large covered outdoor terrace that runs from one end of the house to the other, with comfortable outdoor furniture. 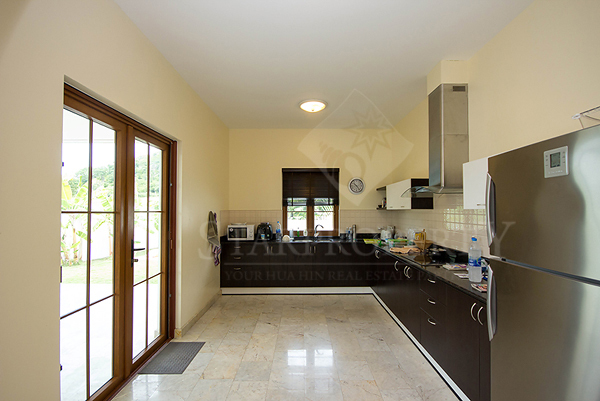 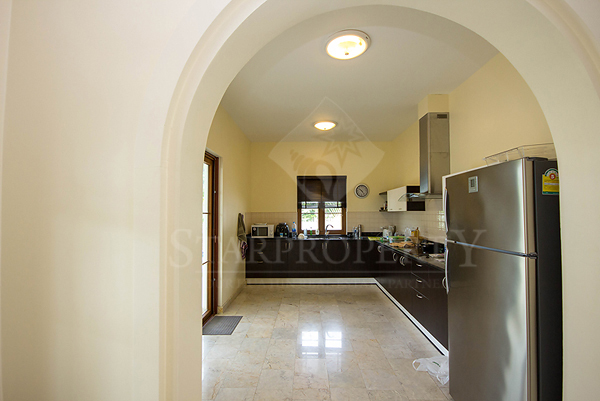 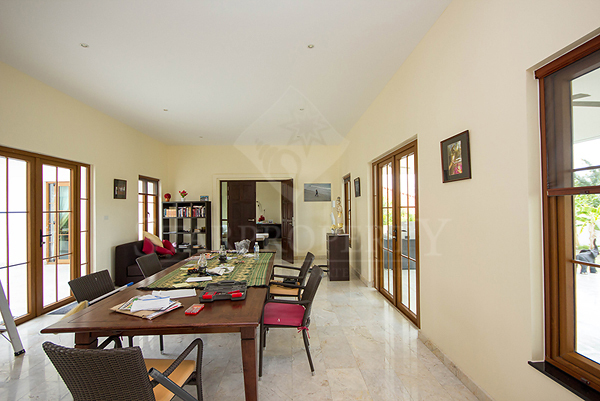 Fully fitted, functional European kitchen and dining room offer all the entertainment areas you need. 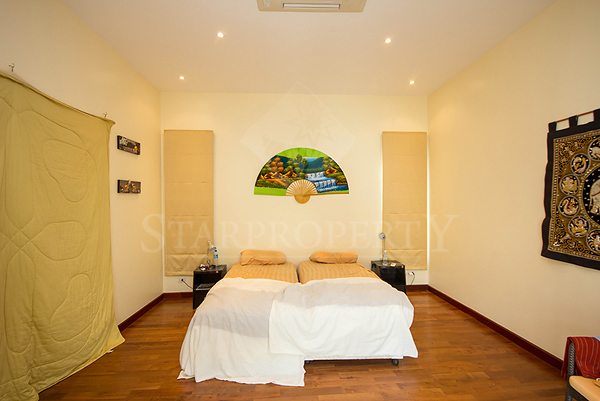 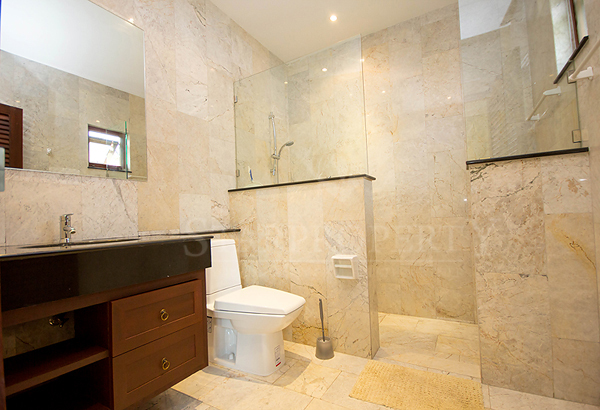 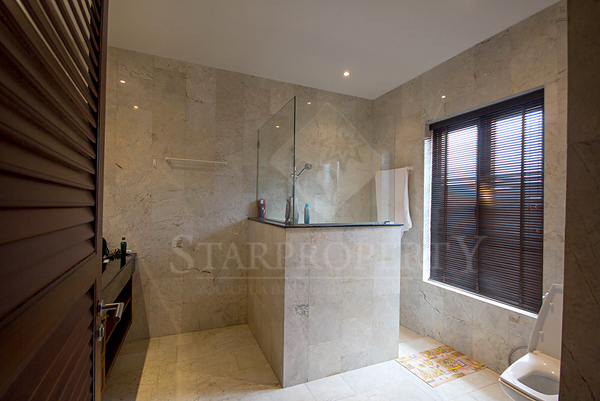 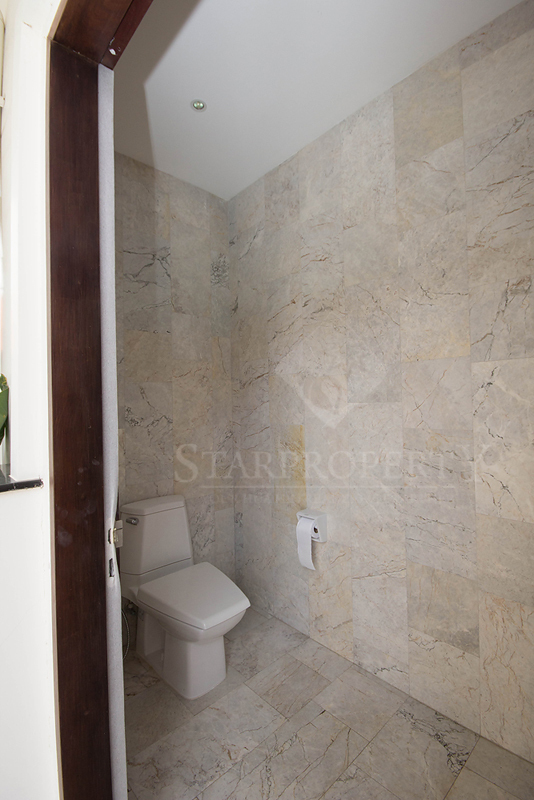 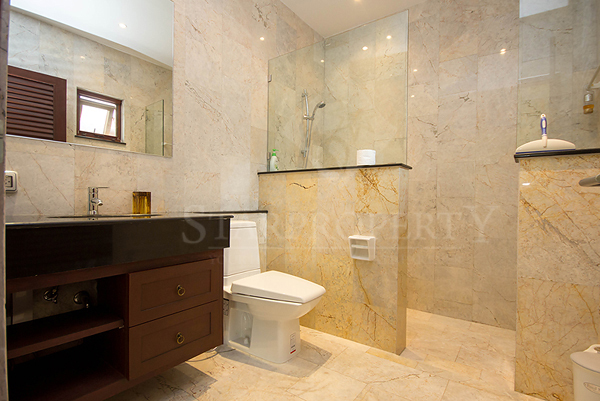 – This property is not available for rent between December and January.